Achille-Claude Debussy (22 August 1862 – 25 March 1918) was a French composer. He was described as an Impressionist, though he disliked this term. 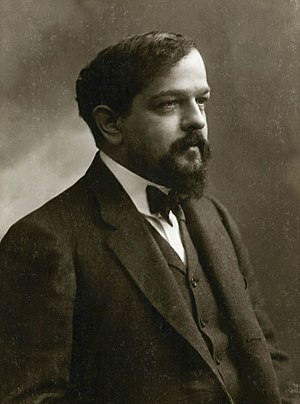 Debussy's best known works are the Preludes for piano, the orchestral work La Mer, the Daphnis and Chloe orchestral suite, Children's Corner and Clair de lune for piano, the opera Pelléas et Mélisande, the orchestral work Prélude à l'après-midi d'un faune, the ballet Jeux, and several art songs. This page was last edited on 20 June 2014, at 19:57.